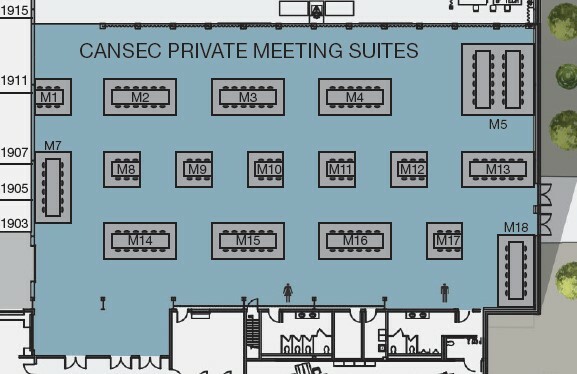 CADSI is pleased to offer Private Business Meeting Suites located adjacent to the exhibit floor at CANSEC 2018. A Private Meeting Suite is a unique and innovative option designed to compliment your main exhibit. Meeting Suites also achieve the business to business requirements for those companies who are looking for an exhibiting alternative. As part of CADSI’s continuous efforts to increase privacy and improve the Meeting Suite experience, all meeting suites are now fully enclosed.